Welcome to a MiClub review of our top five favourite website projects for 2018! This was another big year with many beautiful new sites going live, but we’ve managed to narrow it down to five of our favourites. Please keep in mind these five websites are in no particular order. We have simply chosen five that we like due to their features, design aesthetics, or quality of content. If you are interested in developing your own golf website, you should be able to find some inspiration in our list! MiClub’s Creative Team has 18 years’ experience in designing websites for the golf industry. We aim to build functional digital platforms using modern web design practices to help our clients achieve their goals! Whether you are looking to generate more membership enquiries, increase public golf bookings, or set up an online store to sell golf merchandise. A thoughtfully designed website is a great way to increase interaction with your business! 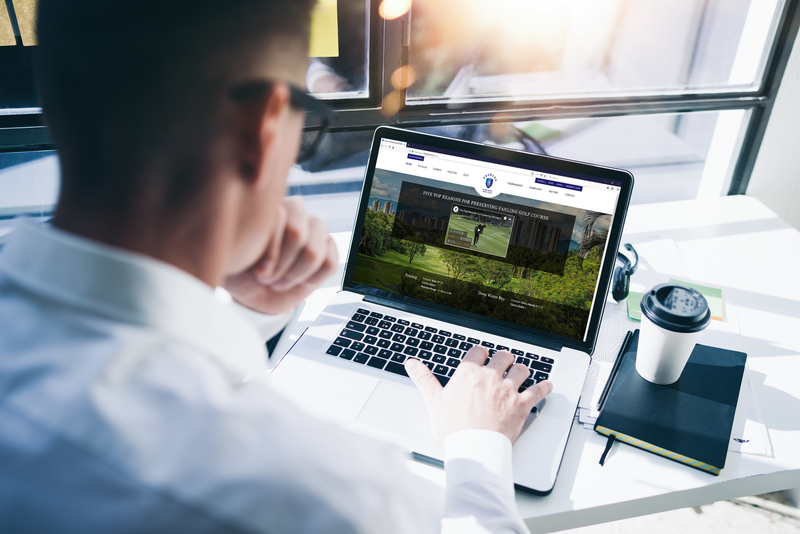 MiClub websites are built to extend and complement our Golf software, with modules that make your club more accessible to visitors, enhance member experience, and reduce administrative work for your staff. By combining a mobile optimised website with a MiClub Golf system, you can provide members with a personal login to a branded members portal. This allows members to access competition results and conveniently make golf bookings through their mobile devices. What makes this site great, you ask? The Hong Kong Golf Club website took out a spot due to its clean design, informative content, and unique features. Providing daily weather updates and a helpful language translator, this international custom website is inviting for travellers and showcases the natural beauty of the course. Clear, well placed buttons on the home page encourage visitor bookings while still making it easy for members to login and interact with the website. There are more than 70 pages of content with detailed information on tournaments, courses, facilities and more! Hong Kong’s thorough approach to content gives international golfers the information they need to plan a visit. Hong Kong is a prime example of a well-designed golf website. 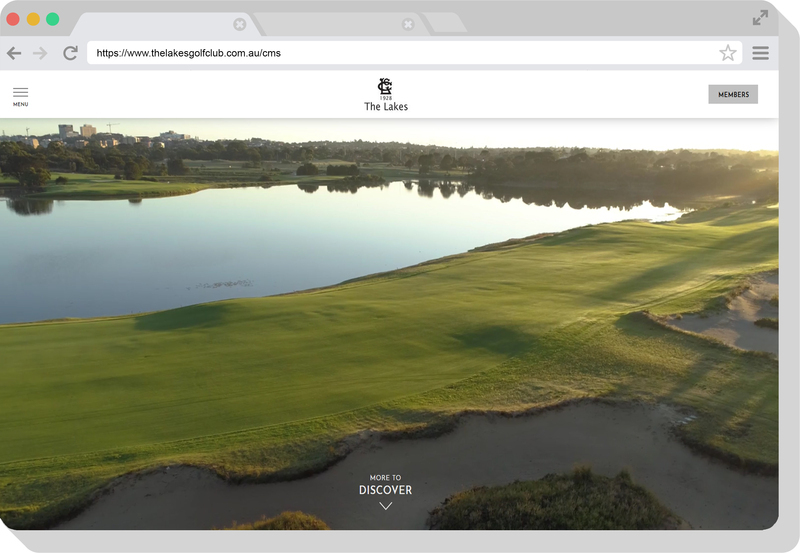 The Lakes Golf Club website made our list due to its beauty through simplicity! This website uses monochromatic styling and beautiful imagery to present the course, facilities and community. A simple colour scheme really draws attention to the vibrant images. Their collapsible side navigation menu is very user-friendly and displays well on devices of all sizes. Furthermore, the added value of following a minimalistic design style is enhanced usability for anyone exploring the website. Less clutter and efficient use of space makes information very easy to find. We love that every piece of content on this website is concise and well placed. Next up is the new Melbourne Sandbelt website! Another clean minimalist design that works in well with the high-end brand image of Australia’s Sandbelt clubs. Complete with a customised map, search functionality, and trip planning form for the wandering golfer. This site was developed to encourage tourism and help put the Sandbelt region on the map. 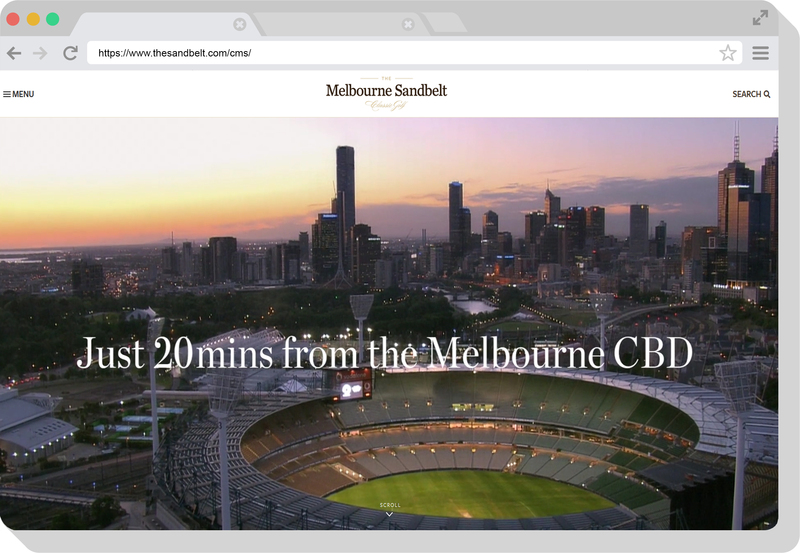 The Sandbelt website targets travellers with useful information like how long it takes to travel to a course from the Melbourne airport or Central Business District (CBD). There are eight club profiles that share unique club services/features, beautiful aerial imagery, and clear contact information. Kooyonga is a website that stands out from the crowd with their aesthetically pleasing use of brand colours and E-commerce store. 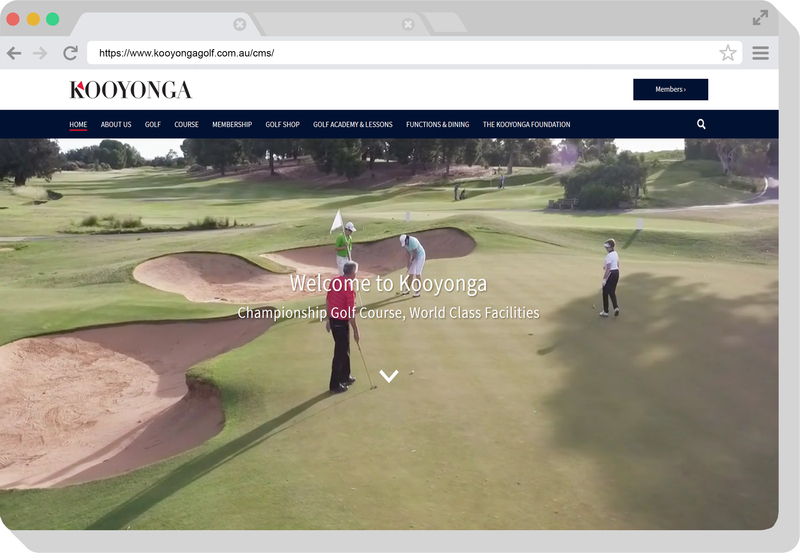 Members and visitors can conveniently purchase Kooyonga branded merchandise online for gifts or personal use. Overall, this website made our list with its rich content consisting of beautiful imagery, aerial drone video, and relevant information. Every page is visually appealing while retaining optimal readability and usability. If you are looking for an engaging way to communicate a wide range of club services or build your brand online, this website has a lot to offer! Something Kooyonga does really well is their management and staff profiles. High quality staff portrait photography paired with a neat professional background description invites engagement and suggests a strong organisational culture. 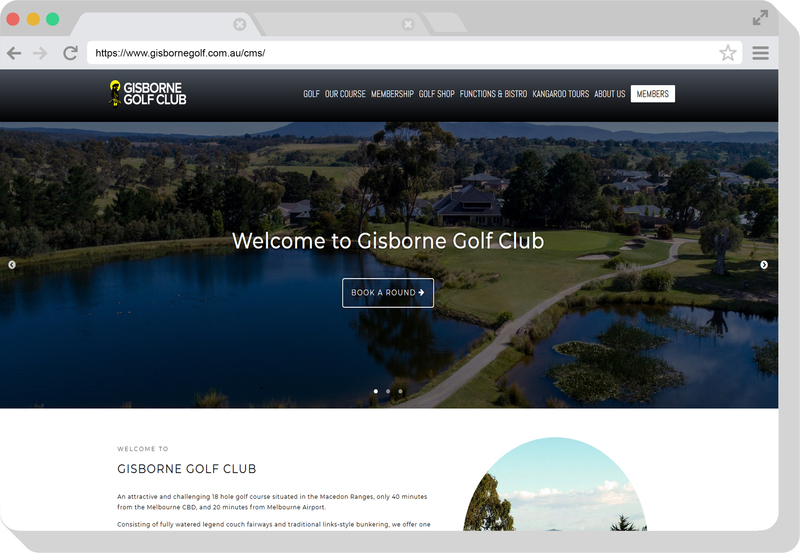 The Gisborne Golf Club website is a great variation of MiClub’s classic website template. As one of our more affordable website options, we love how compatible this design theme is with Gisborne’s unique brand. There are clear call-to-action buttons prompting website visitors to “book a round” or login to the Members portal. The succinct navigation menu makes browsing for information a pleasant experience. A differentiating feature of this site is the option to book wildlife tours online in just a few clicks! Gisborne is one of the few Golf Clubs in Australia to offer guided kangaroo tours for tourists, school groups, or visitors. We think this site is special because it demonstrates that a large budget is not required to create an attractive website that serves a club’s goals.